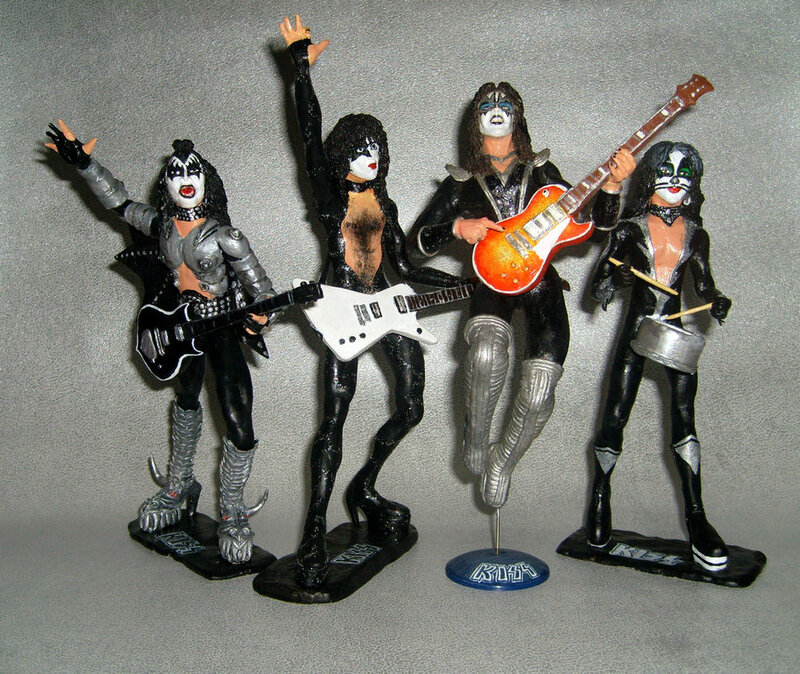 The Rock and Roll Hall of Fame class of 2015 was announced recently, and the carping began immediately thereafter. We shall consider factors such as an artist’s musical influence on other artists, length and depth of career and the body of work, innovation and superiority in style and technique, but musical excellence shall be the essential qualification of induction. For my money, the key phrases here are,”musical influence” and “musical excellence.” Anyone who gets in should have moved the medium forward … which ought to excuse Ms. Jett from consideration in the first place. This would also justify 2014 inductee Kiss, which – despite critics’ deep distaste – inspired numerous (male) musicians at a formative age, ranging from ?uestlove to Rivers Cuomo (as a snippet of tape from his middle school days attests). Which brings me to Joe Cocker, who died Dec. 22. Cocker is not in the Rock & Roll Hall of Fame. Perhaps he isn’t because he was influenced more than he influences. By his own admission in a documentary I saw a few years ago (was it Across From Midnight? ), he idolized Ray Charles so much, he imitated him down to rocking back and forth as if he was playing Ray’s piano. He was also a singer who didn’t play an instrument and rarely sang his own compositions. But man oh man, how he sang: that’s the definition of “musical excellence” right there. Cocker had scattered hits later in his career, including the Oscar-winning “Up Where We Belong,” but it’s that sweaty, scorching, full-body singing in the late 1960s/early 1970s that was his gift to rock and roll, and to us. Rest in peace, Joe, and may you be the first name on the 2016 Rock & Roll Hall of Fame ballot. See you on the flip side … and Happy Holidays! I’m always going to be a music fan, but I’m not going to pursue writing about music any further. The main reason being, I’m not really qualified to do so. I know nothing about music and can’t play any instruments. That’s a pretty big regret I have and maybe someday I’ll correct that, but for now I feel far too handicapped to really “be” a music writer beyond the amateur-level. And that’s just not good enough. This stung, not only because I’ll miss his perspectives, recommendations and sense of humor about this silly/serious thing called rock and roll. His belief that he’s somehow falling short puts me on the defensive as well. Considering bloggers write for love not money, we have to create our own yardsticks to gauge our success. If Jason believes he’s not measuring up to his own particular standards, I can’t tell him he’s wrong. Yet if you’re moved by music and can convey your joy in a way that resonates with others, what more do you (or I) need for our writing to be worthy? The way I see it, just because you don’t play an instrument doesn’t mean you can’t be an engaging, insightful music writer. Likewise, just because you’re a rock god doesn’t mean you aren’t a wanker in print. Pete Townshend ought to have written a great rock memoir. He has credentials to spare. A founder of The Who, keynote performer at Woodstock and Live Aid, one of popular music’s best composers/lyricists and a rock blogging pioneer: he should be able to capture the giddy energy, sharp danger and ineffable cool of being an authentic rock idol. He was even an acquisitions editor for Faber and Faber—for God’s sake, he ought to know how to tell a good story. Must … be taken … SERIOUSLY! And yet, Townshend’s memoir, Who I Am, is a pretentious, insufferable slog of a book. He wallows in perpetual angst about his overweening artistic ambitions, his sexual uncertainties, his less-than-successful self-monitored sobriety and his proclivity for expensive recording equipment and boats. No detail is spared, so the trivial is given the same weight as the monumental. (He spills a lot of ink over his real estate dealings without a word about how his single “Rough Boys” reflected his coming to terms with his own bisexuality.) There is no arc to his life in his telling, no sense of lessons learned or great moments appreciated, no moments of grace or humility to offset the self-indulgence. Even the amusing anecdotes aren’t very amusing. Silly me. I thought being a rock star was supposed to be fun. That’s the danger of reading a memoir, I guess: if you want to meet the real person behind the persona, you run the risk of not liking him very much. The Pete Townshend portrayed in his book is obsessed with being taken seriously as an artist to the expense of all else. I had been hoping to learn more about the guy who wrote “Long Live Rock,” one of the funniest songs about rock-and-roll decadence ever. Pete, here’s hoping you find your sense of humor again soon … I’m sure Jason can help you. Since I’ve made so much progress on that front, I have decided to expand my efforts to include a new pupil: my nine-year old. It may be long while before I’ll take her to a concert, so I’m introducing her to the magic of live performance via great rock documentaries. We began with, what else? Woodstock. My first viewing of the classic was a midnight showing in Richmond when I was in high school. 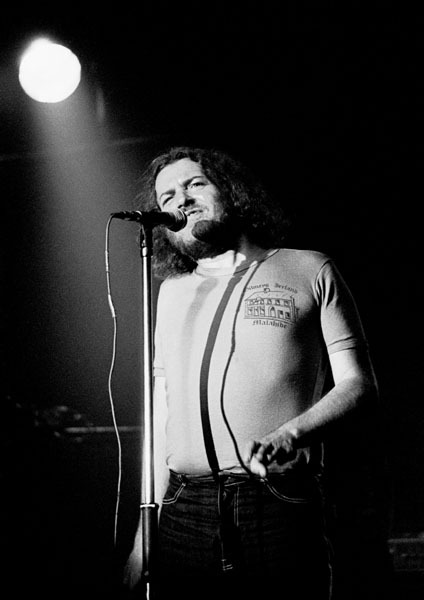 My suburban mind was successfully blown about 2:00 a.m. when Joe Cocker came on and, due to the late hour as much as his volcanic performance, he and the falsetto-singing Grease Band became the most smoking hot bunch of longhairs ever. My daughter had to settle for a small screen screening on our upstairs TV. 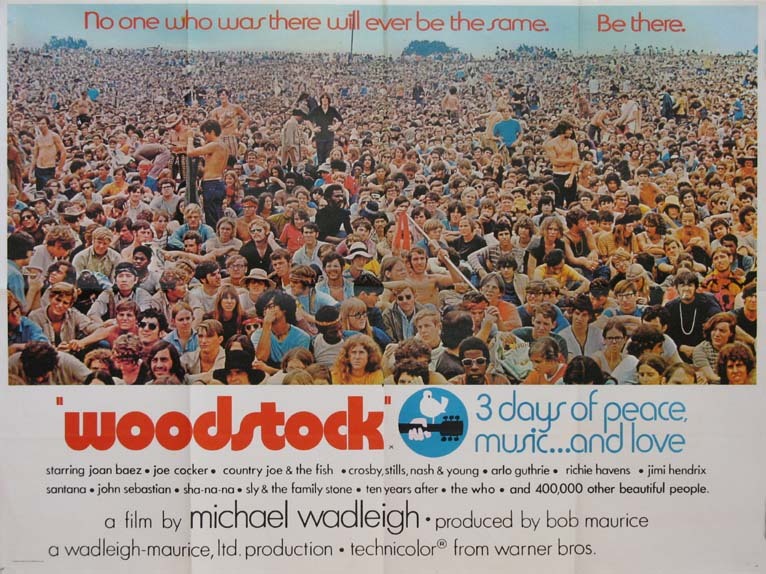 Given that most of the gossipy trivia I knew about Woodstock involved drugs, drugs and more drugs, I couldn’t say much about the performers (other than assure her that yes, the Grease Band singers were guys). Of course, rock and roll movies aren’t all brown acid and Wavy Gravy. 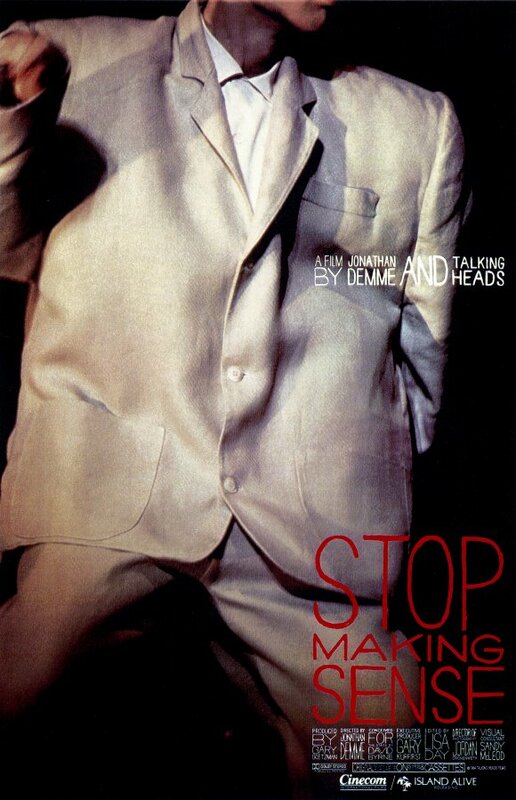 For our next Rock and Roll movie night, we watched Stop Making Sense. “Spoiler alert,” my nine-year old muttered. I think I heard her eyes roll. Once again, I had to shut up. I had to allow her to absorb the musical experience on her own terms. She fell asleep before David Byrne toddled in wearing the Big Suit. Clearly not her cup of chai tea, this movie. Oh well, at least she tried it once … like avocados. Over time, we’ll find our musical groove – watching rockumentaries, sharing playlists, going to concerts. I’ll just have to get used to the fact that I won’t need to narrate the tour forever.